Currently set for release on July 27, 2018, Warner Bros. and DC Films is solidifying its production start date for their next DCEU adventure Aquaman. This stand alone adventure is reportedly set to shoot summer 2017 on location in Australia. Production will also be taking place at Warner Bros.' Studio Leavesden in London. 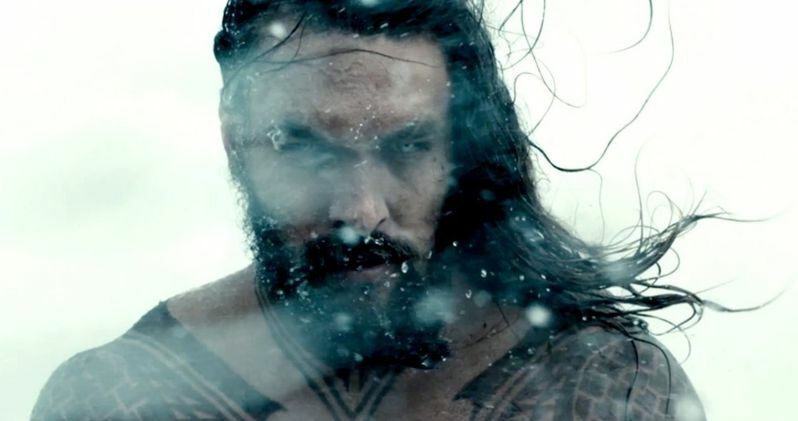 A great deal of the movie is set underwater, and will involve shooting in massive tanks with Jason Momoa leading the cast. Man of Steel kicked off the current DC Extended Universe for the big screen in 2013. It was followed by this year's Batman V Superman, which released in March and Suicide Squad, which opened in August. DC Films and Warner Bros. have big plans for the immediate future. Justice League is currently shooting in London for a November 2017 release. And Wonder Woman has already wrapped and is currently in pre-production, awaiting its summer 2017 release. Aquaman made his first appearance in Batman V Superman, appearing for just a few minutes of screen time. Jason Momoa will reprise the role for Justice League, in which he has a substantially larger role to play. The first Justice League trailer premiered at Comic-Con this past July, offering a look at Aquaman's important contributions to this powerhouse ensemble. The Flash and Cyborg will also appear in Justice League before getting their own standalone adventures. As it stands, Aquaman, which is being directed by Saw creator James Wan, is furthest along in pre-production. Will Beall wrote the script for the standalone Aquaman movie. Jason Momoa's Arthur Curry will be joined by Amber Heard and Willem Dafoe. While filming will begin in summer 2017, Daily Mail doesn't announce an exact start date. Aquaman isn't the first big superhero movie to take advantage of what Australia has to offer. Thor: Ragnarok is currently shooting in the country for Marvel and Disney. And Disney recently utilized the country's resources for the sequel Pirates of the Caribbean: Dead Men Tell No Tales, which received a $21.6 million tax incentive. Will Beall has previously teased that the action in Aquaman will take place both on land and at sea, with Black Manta said to be the main villain. Some of the 'most fun' scenes will actually take place on dry land. It isn't known if Australia is being used as a stand-in for a fictional DC City. Aquaman will be the first DC Comics movie released in 2018. It will be followed by an as-yet untitled DC Movie on October 5, 2018, which many believe is Ben Affleck's Batman solo movie. Or it could be The Flash big screen adventure, which currently doesn't have a release date.